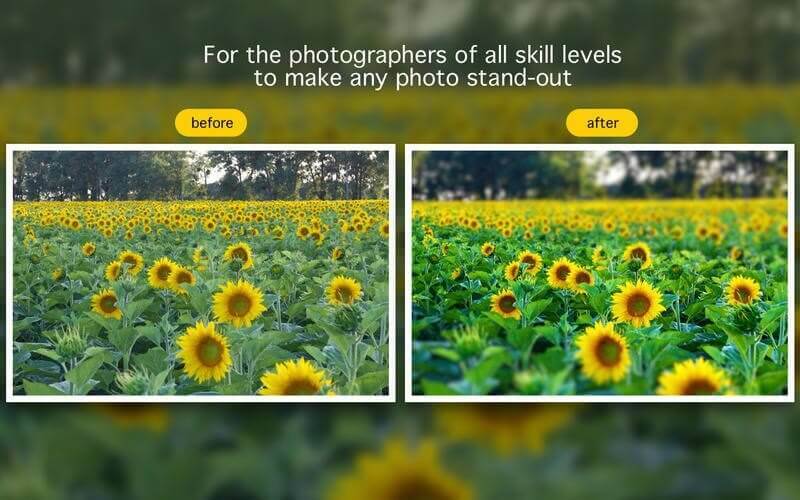 Easily make your photos more attractive. Do you want to easily highlight the most significant part of your images and make them eye-catching? By using Focus, you can attract other's attention by emphasizing the most prominent subject in your photographs. It is fast and it is easy to operate. 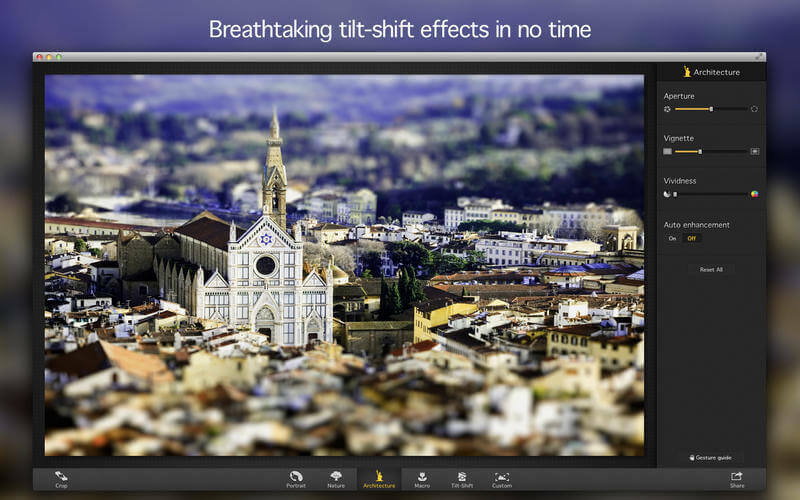 Come and have a try on its professional filters and effects right away! You are capable of taking professional photos even if you are not a professional photographer. By artistically retouching your photo, you could highlight the most prominent subject in your photo. No special skill is needed and everyone can learn to use it in no time. As for Focus 2, you can use it independently or you can connect it to you Photoshop, Lightroom and Apple Aperture for extensive functions. For photographers who desire to embellish their photographs by adding effects, Focus is the best option. You can add various effects, such as tilt-shift and vignette, to give your photo a taste of professionalism. You are going to be amazed by the powerful filter and lens functions offered by Focus. It includes a series of settings for photographers to enhance a variety of photographs, which comprises Portrait, Nature, Architecture, Landscapes and so on. You are allowed to get help from these amazing effects and in the meanwhile, extend your creativity and imagination. 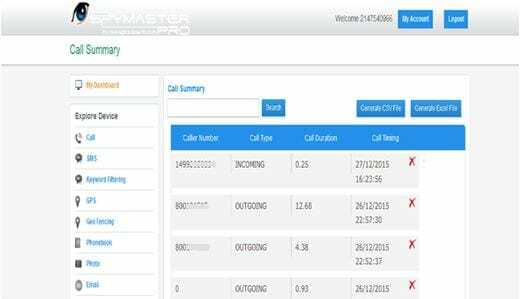 These are highly customized functions that you don't want to miss. In addition, no extra equipment is needed as long as you have Focus. Editing photos is no longer a chore for you. Make full use of the extensive filter and lens functions to create the photo of art! Our Focus 2 Pro will surely impress you by its powerful function and its most advanced technology. 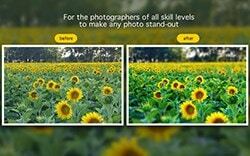 You are able to choose freely among various focus, lens blur and motion blur to produce the effect you want. It helps you to touch your photographs in a controllable manner. When you finish your photo, you probably want to share it with the world eagerly. That's not a problem. You can share them directly with Focus. Transfer your photographs to iPhoto, Photoshop, Aperture, Lightroom or you can post them on Facebook, Twitter or other social networks. Need to send them to others? 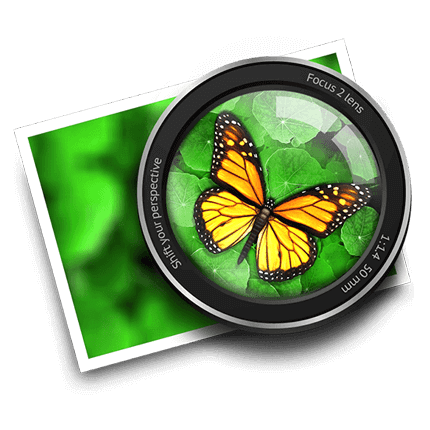 It is convenient to use Focus to export your photographs and send them by emails or iMessages. 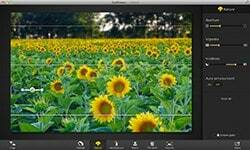 If you want to apply filters to part of your images, or adjust the focus and blur effects accordingly, you will find the precise custom control extremely useful. The precise custom control helps your control the focus and blur areas of your images precisely and accurately. You can highlight the part you need to emphasize and blur the one you want to hide. You can create images of your own style by using the custom control. Focus helps you highlight the most important part in your photo and benefits you with its extensive filter functions and lens effects. You can attract the attention of others without difficulty. 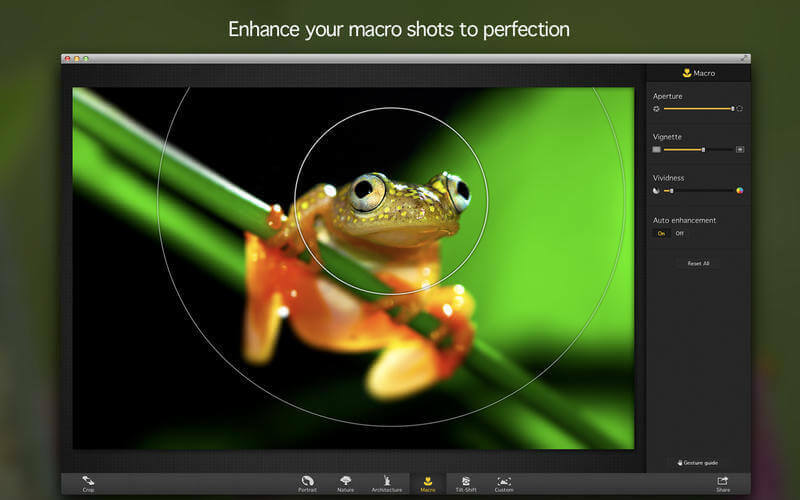 To improve macro images, Focus is ready to help. You are also welcome to use Focus on your photos of portraits, landscapes and architecture. 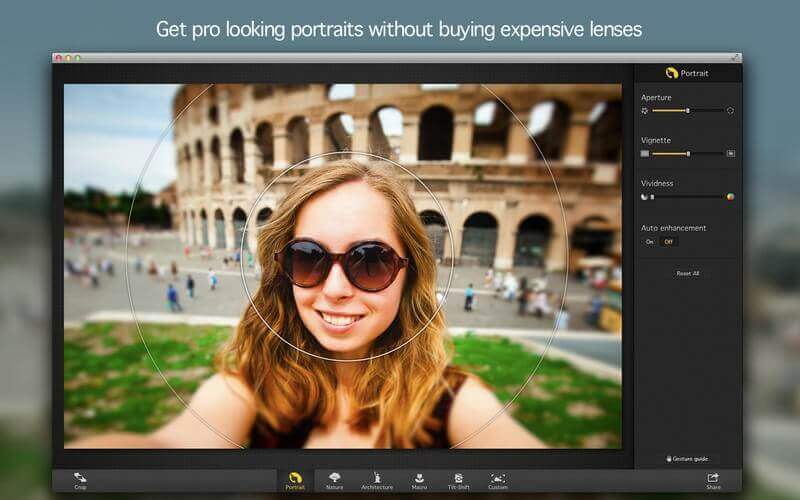 It creates professional lens effects on your photographs. Mask the areas you need on your photo to get precise focus and blur. In this way, you emphasize the subject you need. Focus allows you to share your photographs in social networks instantly. Firstly, you need to drop a photo to this program. In this step, you can adjust the parameter of your image. 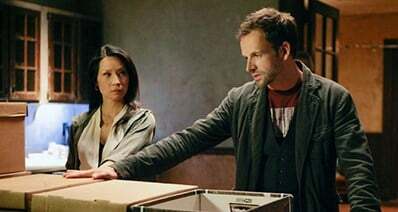 Soon you will find that your picture has become much more attractive. Macphun FocusProfessional Lens Effects for Photos!